The fiery, hugely dramatic death of journalist Michael Hastings last Tuesday has sparked a rash of conspiracy theories. Supposedly Hastings, who famously brought down the career of General Stanley McChrystal and vehemently opposed American Involvement in Iraq and Afghanistan, had contacted a lawyer from Wikileaks, alleging that he was under investigation by the FBI just hours before his car crashed into a tree on Highland Avenue in Los Angeles—inexplicably bursting into flames. The conspiracy theorists—many of them right-wing pundits—claim that Hastings was on the verge of exposing a scandal involving the CIA. They also claim that General McChrystal’s staff threatened to kill him if they didn’t like what he wrote. The fact that his car did burst into flames and that his body was burned “beyond recognition” all added to the speculation that he was assassinated. Whether he was actually murdered or not, however, one thing is obvious: Hastings was unflinchingly devoted to the truth as he saw it. In the case of General McChrystal, he wrote an article for Rolling Stone which revealed a private conversation where the General made disparaging remarks about President Obama and Vice President Biden. Whereas other journalists may have been intimidated going up against a political powerhouse like General McChrystal, Hastings was committed to exposing what he felt was an injustice. In his blog, he wrote about how the pressure put on me having to travel around the country speaking about my addiction—going on the Today Show, Oprah, and, of course, CNN with Sanjay Gupta—may have been too much for someone still in the early stages of recovery. And I definitely don’t disagree with that. Everything was so raw inside me at that time. And the allure of the drugs—and the drug lifestyle—hadn’t quite left me yet. Reading the entirety of his blog, I’m blown away by just how perceptive a journalist he really was. I may have been able to fool a lot of the people some of the time but I couldn’t fool him. He saw the truth—which is exactly what he was known for and how he will be remembered. When I wrote that email, I was completely still in awe of the experience of highness. I ended up relapsing two more times before finally getting sober for what I hope is for good this time (I’m clean for over five years now). And there certainly was a lot of pressure on me. Writing Tweak and traveling around the country, I opened myself up to a huge amount of criticism—and also a huge amount of praise. It was exactly what I didn’t need. I vacillated between feeling like a total loser/failure to feeling like a total expert on all things recovery-related. Humility is a key component of sobriety, I believe, and being a national poster boy for recovery made me anything but humble. The reason, for me, that humility is so important is that I don’t think it’s possible to truly recover—and truly change—unless I’m willing to ask for help and take some dramatic steps to break the cycle of destructive patterns that have been controlling me my whole life. Basically, I feel like I will keep repeating the same thing over and over until I make a conscious effort to stop—and then ask for help in stopping because I can’t do it on my own. This means that I not only have to ask for help but also that I have to accept it when it’s offered to me—and then I have to take the directions given. For me, that meant committing to therapy and committing to finding a therapist I could trust and relate to and respect. It meant taking the medication I was prescribed and continuing to take it—even after I had started feeling better. It meant going through the slow, painstaking process of learning to love and care for myself. Slow and painstaking are maybe the most important words. It all took time. It all was a very gradual process. Sometimes I took steps backwards. But sometimes I took several leaps forward, too. I had to be patient. And I had to keep trying—to never give up—to hold on. Touring the country, promoting Tweak, everything was still so new and precarious. I wasn’t ready to impart my knowledge and wisdom, mostly because I didn’t have a whole lot of it. Imagine a kid who’s just learned to ride a bike trying to win the Tour de France. It’s never gonna happen. The surprising thing wasn’t that I relapsed. The surprising thing would’ve been if I hadn’t. Of course, in terms of both of these points, I completely agree. Before going into rehab myself, I always thought that all an addict had to do to get sober was go into treatment for 28 days, and then just stay clean forever. But for many people, getting sober is a complicated process. There are ups and downs—backs and forths—and it is rarely as clear-cut as people would perhaps like it to be. Relapse is often a part of the equation. Sharing and talking about the struggle is vitally important. I absolutely in no way regret having written my book, or taking those opportunities to speak with other people about my experiences with recovery. Especially when it came to speaking to high schools about my addiction, I could see the very immediate positive effect it had on some of the kids. A few I’ve even stayed in touch with since my talks—and some have told me they’ve gotten sober based on my example. Actually, a lot of them have had a much straighter and narrower path to recovery than I did. The truth is a powerful force. And, within my struggles, that is something I’ve always tried to achieve (though it wasn’t always possible—and I just plain sucked at it sometimes). Telling our truths can change the world. Hastings reminded us of that in his blog post. But, more than that, he reminds us of that in the way he lived his life. His tragic death serves to highlight the importance of the truth tellers in our society. And Hastings certainly was that. He was a truth teller. His truths changed the world. And his truths will remain. They remain to encourage the rest of us to keep on telling the truth—to be unconditionally committed to that truth and to never back down from it no matter how scary, no matter how dangerous. 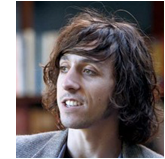 Nic Sheff is the bestselling author of the addiction memoirs Tweak and We All Fall Down as well as a writer on the AMC show The Killing. Photo courtesy of okhereisthesituation.com. Really enjoyed this blog, particularly the bit about your recovery. RIP Michael, a truly great journalist. 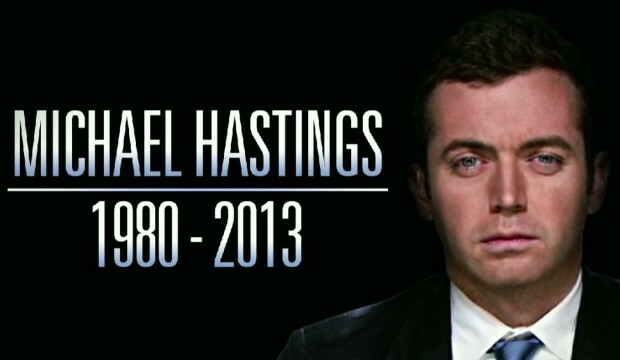 So sad about Michael Hastings. Proud of you, Nic. Excellent words! Powerful words! I am now following your blog.